Syndicated talk show host Tom Joyner, 67, recently told the Atlanta Journal and Constitution that he plans to retire. Joyner recently signed a two-year contract with ABC Radio Networks but said he will retire at the end of 2019. “I’m putting in my two-year notice,” Joyner said in a recent statement on Blackamericaweb.com. Joyner became known as the Fly Jock in the mid-1980s because he hosted a morning-drive show on KDKA-FM in Dallas, flew to Chicago to host an afternoon-drive show on WGCI-FM, and racked up 7 million frequent flyer miles while holding down both jobs. 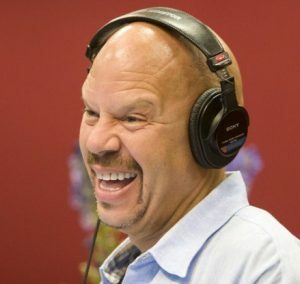 In 1994, Joyner signed an agreement with ABC Radio Networks, launched the nationally syndicated “Tom Joyner Morning Show,” and soon launched Reach Media, BlackAmericaWeb.com and the Tom Joyner Foundation, which has raised more than $60 million to helps students attend Historically Black Colleges and Universities. His show has also promoted voter registration, annual visits to the doctor, and the Fantastic Voyage Cruise. But Joyner, who serves more than 100 affiliate stations, said he plans to keep it positive for the next two years.